Ulrich Schulte-Strathaus, lawyer by training, is a leading aviation industry analyst, specialized in EU and international regulatory affairs, aviation market analyses, change management and competition law. 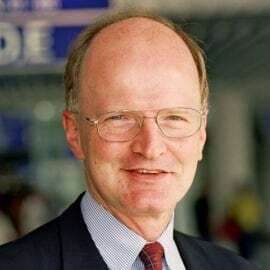 Ulrich held various senior management positions at Lufthansa German Airlines between 1981 and 2002; in September 2002 Ulrich was elected as Secretary General of the Brussels-based Association of European Airlines. During his 10-year tenure, Ulrich represented the interests of Europe’s established airlines on all aviation-related issues, and built a network of contacts with the EU Commission, Parliament and Member States, as well as with the other players in the aviation value chain. In 2012 Ulrich founded his own aviation consultancy based in Brussels, Aviation Strategy & Concepts; he has specialized on competition law, state aids, environmental policy, management of perception and consumer protection, and retained clients from the public and private sector within the EU and internationally. Ulrich has published several articles and studies, notably on the EU-US aviation relationship, the options for trade protection in aviation, and industry developments.